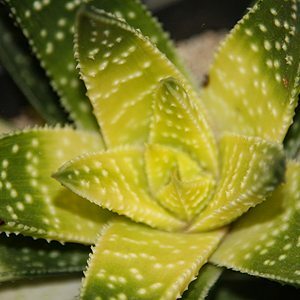 Easy to grow succulents with a name that evokes a few other species Gasteraloe are actually an intergeneric hybrid plant a cross between Gasteria species and Aloe species. ‘Green Ice’, ‘Ghostly Ice’ and other cultivars are popular. 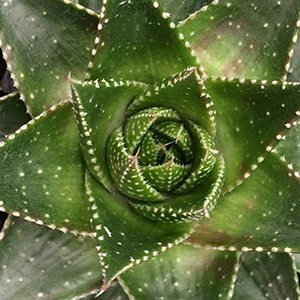 These are a rosette forming succulent related to aloes. The species themselves are not offered as widely as the hybrids however they are available from some specialist growers. It is mainly the hybrids that are sought after by landscapers and home gardeners as they generally have improved form and color. Lots of new and interesting hybrids of these are becoming available. Often sold simply as ‘Green Ice’ or ‘Green Ghost’ in larger nurseries and stores the name becomes a little lost. They do vary greatly in foliage colour and form. ‘Exotica’ and ‘Helen Hageyi’ are two other cultivars worth looking for. G. kabela – Attractive mid green foliage. G. cosmo – Deeper green foliage. G. Pauline – Variegated leaves with a slight texture. Requiring a dry winter and water as needed during the active growing season, they are a little slow to get going however they do grow well in containers. Best in a position where they do get some protection from the hot afternoon sun. Excellent plants for containers indoors as well as outside, or for growing in the rock garden. A number of species can be found in the Botanical Gardens in Melbourne.